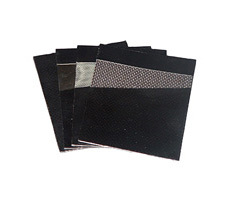 This product is formed by mechanically or sticking flexible graphite sheets together with metal plate. It has good compressibility and resilience, excellent sealing property for microscopic surface irrgeularities and long working life. It is mainly used for making cylinder gaskets of engines and punching into all kinds of sealing gaskets. 6. 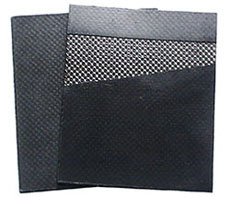 Graphite sheet with non-metallic fiber inserted.